I don’t have a crystal ball, or a political equivalent of the Gray’s Sports Almanac, to tell me if the UK will exit the EU on 29th March. However, an analysis of alternative futurological sources – betting odds, opinion polls and ‘expert’ media commentary – suggests that, whilst the probability of leaving on the 29th is declining, the probability that, if we do leave, we will leave without a deal, is rapidly increasing. For communities in Kent, this is deeply worrying. Kent is home to the Port of Dover and the Channel Tunnel, border crossing points which, together, represent the principal points of entry and exit for the UK’s goods trade with the EU. Approximately 4 million freight vehicles and 23 million passengers cross these borders every year – that’s around 11,000 HGVs and 63,000 passengers every day. More than 40% of vehicles on Kent’s roads at any one time are freight vehicles, travelling through Kent, to reach their final destination. For communities in Kent, this becomes a problem when these vehicles cannot pass through our county. The Strategic Road Network (SRN) through Kent is limited, in terms of length and capacity. Any disruption to the flow of vehicles through Kent, to the west into England or the east into Europe, very quickly leads to congestion on motorways and trunk roads. This, in turn, leads to traffic leaking onto the Local Road Network (LRN), spreading congestion from the SRN into our towns and villages. So far, so interesting – to transport planners. But what has this to do with Brexit? 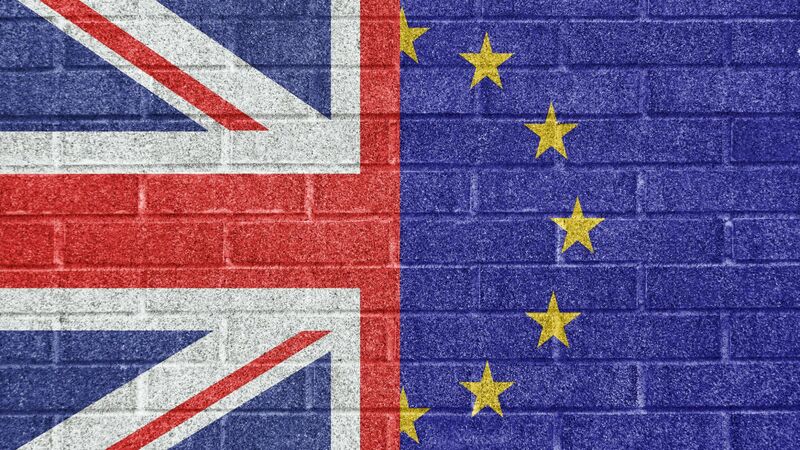 In the event of a no-deal, at 11pm on 29th March, the regulations that govern the entrance and exit of goods and people from the UK will change. Because we will no longer be part of the single market, the conventions that currently allow people and goods to flow freely across our borders, from the UK to Europe and vice versa, will no longer apply. This means that border checks will need to be introduced on goods, to enforce tariffs and compliance with safety, sanitary and security regulations. Travellers are also likely to face changes to their border crossing, with increased customs, passports and security checks. Increased checks will slow the flow of people and goods across our borders. People and goods will not be able to exit Kent to the east into Europe as quickly as they could, before Brexit, because our border crossing points are not yet equipped to process vehicles, goods or people with these additional checks. Previous experience tells us that delays at these borders very quickly leads to gridlock on Kent’s roads, with destructive effects for people in Kent’s communities. If our borders are slowed, or blocked, after Brexit, the logical assumption is that it is inevitable that this will happen again. Astonishingly, however, we do not yet have any reliable studies telling us what the impacts of Brexit border changes for communities in Kent will be. Three small studies have reported gridlock on specific roads on the SRN, focusing on the impact on through-times from the border crossings in the east to exit in the west. Political concern has focused on the impact of this on through-traffic carrying time-limited products, including vegetables and medicines, or products for just-in-time manufacturing, to the rest of the UK and Ireland. However, we desperately need to understand the impacts of congestion on all roads in Kent. We need to understand the impacts not only on access by car, but also by public transport and on foot. We then need to understand the impacts of congestion across Kent upon accessibility for Kent’s communities. Will children be able to get to school, employees to work, carers to the people that they look after? With information, we could plan to travel by alternative routes or modes, at different times, or to different locations. We could arrange community-focused solutions, for example co-ordinating medical appointments with others in the local area and car sharing to the surgery, co-ordinating delivery of goods/medicines, co-ordinating work at home days to enable collection of children from school. We could develop safe walking routes and schedule walking buses along these routes, in place of vehicular transport, or develop contingency plans to ensure that care can continue, if carers cannot get to those they care for. We could plan for short-term virtual delivery of key services. All of these are possible short-term solutions to ensure that communities in Kent can thrive in the event of Brexit border disruption. But we need to act now. An important step is to create a transport model: mapping how traffic behaves under normal conditions, before adjusting key variables – in this case, congestion and road closures – to predict what will happen to the road network in different situations. A whole-county model will take time to develop. A more immediate solution would be to study the communities that we know will be affected first. Kent County Council’s 5-step Freight Traffic Management Plan for Brexit, Operation Brock, gives us a clue as to which communities will be in the front line. Communities in the Dover Port and Eurotunnel buffer zones and affected by Dover TAP. Communities in the vicinity of the M20 Junction 8-9 contraflow. Communities along the routes from Dover to Manston and from the west of England to Manston; communities in the vicinity of Manston, who will be affected by this pop-up town. Communities in the vicinity of the M26, many previously affected by Operation Stack. Communities in the vicinity of holding areas outside of Kent. With information from such a study, we can develop contingency planning, to ensure that our communities can continue to function in the event of no-deal Brexit border issues. The government’s no-deal Brexit border planning has, thus far, reduced Kent to a through-route for goods and travellers. But we are more than a through-route. We are a community of 1.8million people, who need to move. When we can’t move, we can’t access education, employment, health and social care, food, family and friends. https://www.kent.gov.uk/__data/assets/pdf_file/0012/6105/Freight-action-plan.pdf, viewed 01 February 2019.
http://data.parliament.uk/WrittenEvidence/CommitteeEvidence.svc/EvidenceDocument/Transport/Operation%20Stack/written/29779.html, section 3.6, viewed 01 February, 2019.
 https://www.ft.com/content/d05498f6-1299-11e9-a581-4ff78404524e, viewed 01 February 2019.
https://democracy.kent.gov.uk/documents/s88112/Item%207%20-%20Brexit.pdf, viewed 01 February 2019.